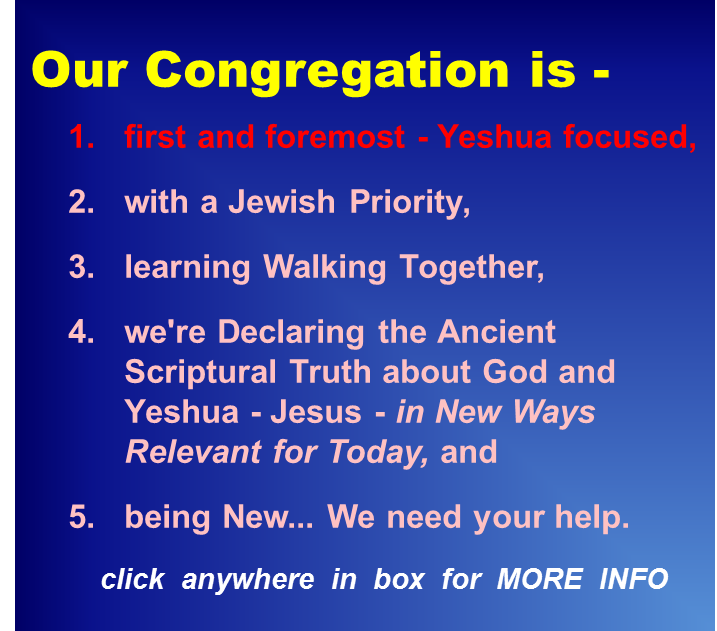 © 2011 - 2018 - Abraham E. Sandler, Congregational Leader of Maoz Tzur - Rock of Ages Messianic Jewish Congregation. It is said put 3 Jewish people in a room with 1 question and you will get at least 4 opinions. Many people, Jew and Gentile, have opinions about Israel. 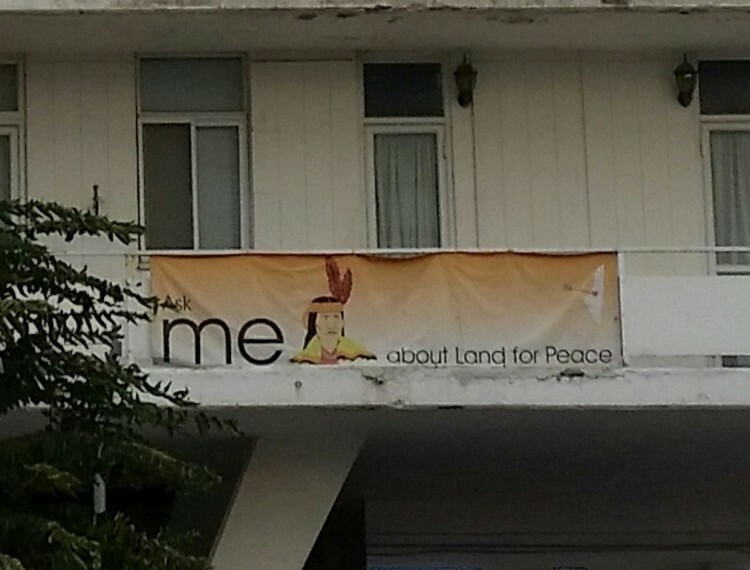 One day we saw two banners hanging on an apartment building in downtown Jerusalem. 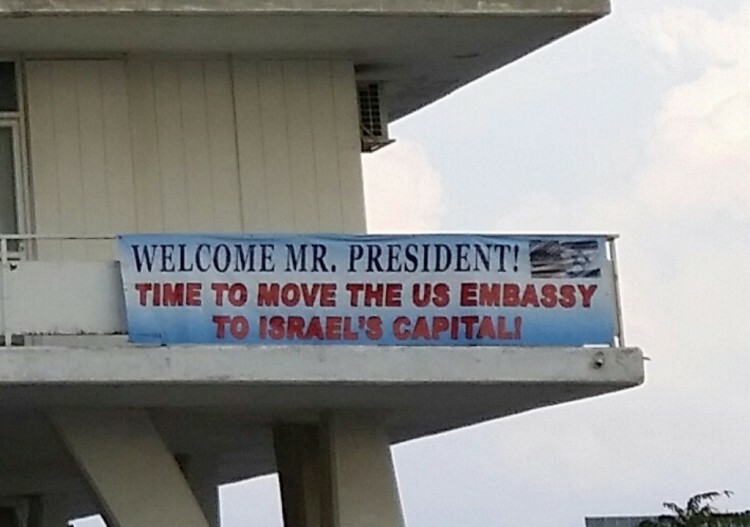 The first (above) urging President Trump to carry through on his promise to move the US Embassy (which is currently in Tel Aviv) to Israel's capital - Jerusalem. Most Israelis see the "issue" of Jerusalem as "settled" - Jerusalem has been the capital and/or holiest city of Israel for 3000 years - why should there be a discussion about it now? The 2nd (below) reflects a Biblical truth, but uses a more recent example to make its point. God warned Israel against making treaties with and trading land for peace with her neighbors. After 70 years of various actual and offered trades of land for peace, most Israeli have realized what this get them - more conflict and less land.